This one is a no-brainer. The lesser you take on, the lesser the liability. Besides, it makes some space to get back goodies from the places you travel to. Leave behind your first-world needs (4 pairs of shoes, laptops, so many clothes – do you really need them?). All you need is three pairs of socks, three pairs of underwear, three shirts and three bottoms. Stuff them in a sack bag and you’re ready to go. We know you might like your butter chickens, pizzas, and fries. It’s comfort food alright and nothing wrong with that. However, when in a new place, summon the courage to sample the local cuisine. So, don’t shy away from giving that gooey looking sushi a shot or sampling the meat of an animal you didn’t know exists. You may not like how it tastes or you may rave about it for years to come. Either way, it’s a win-win – a nice gastronomic anecdote for your travel diaries. You will look exactly how you looked in the city. 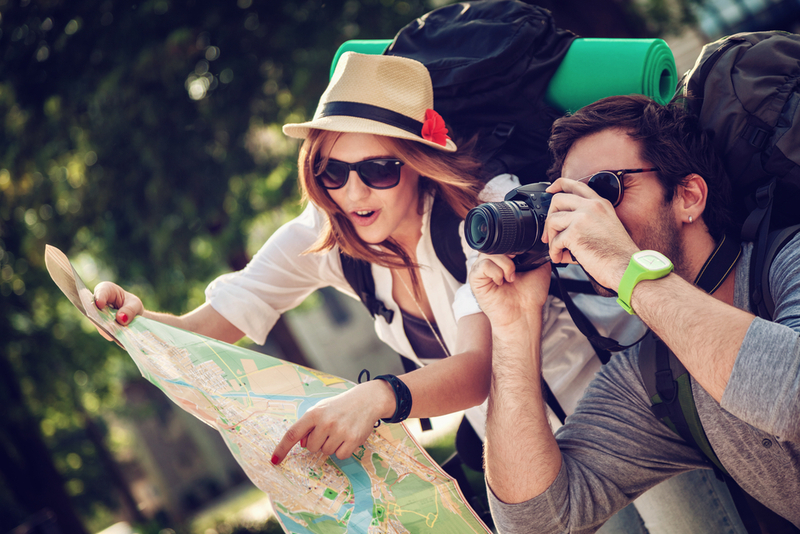 How about covering the sights of your travel destination and things that lead to it instead? Photograph the local chaiwalla with that funny sign, or capture the clucking geese. Click the lake or the ocean or the greenery. We are all on for this selfie dogma (we offer shutterball for god’s sake), but we also urge you to take some kickass photos of other things while traveling. Fashion is for city. Now don’t get us wrong – we want you to look your stylish self at all times. What we mean is let comfort be your priority, especially for your daytime explorations. Comfortable shoes, pants, and t-shirt with a cap etc. are the best way to move about. Walk through the woods, climb the hill, go fishing, or go to that famous place where you can see stars clearly…dress up to travel! And when the night falls, bring out those stilettos and dress shoes! Give yourself a time out. Spend 20 minutes gazing at the ocean; spend the next 15 deciding where to stare next. 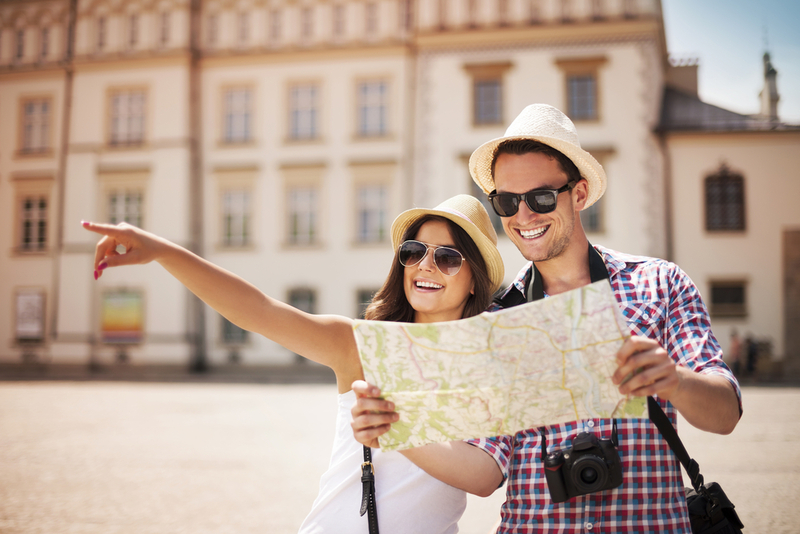 Making an itinerary is quite all right, but take a breather to do absolutely nothing. Roam aimlessly (with a GPS of course. You don’t want to lose your way in a strange place). Partake in the local carnivals. Don’t just see a new place, immerse in it, experience it. Take a break from the Internet – you’ll thank us! We are sure you can pacify your inner urban child and go off the radar for some time. Switch off your data for some time, like ripping off a Band-Aid if you must – cold turkey. But do it! Enjoy your recluse without the constant notifications and uploads. Try it, it’s well worth it. When the initial restlessness passes, the feeling of liberation is unparalleled. Talking about discovering secluded spots, reading beforehand helps immensely. Jotting down the names of spots that are not really well-known and asking the locals about it can be a good way to discover. With fewer people there, you may end up enjoying a bit too much. Also, this will make for an interesting story and photo for your traveller diaries. This is heart-breaking but true. There are gazillion things to do and see. However, it may not be possible to do everything. Don’t insist on it either. Rather than sampling everything, zero down on things that interest you the most and spend judicious amounts of time on them. Accept that experiencing everything on a brief vacation is practically impossible. Let go of the little arguments and let go of the control. Let go of the apprehensions. Let go of your hardboard lists. Let go of your worries about things that are back home. Let go of your need to carry your home in your backpack, for that just-in-case scenario. Let go of your prejudices and try new things. Letting go is the best way to enjoy your travel. And Voila! You are a traveller, just like that. We are sure you will enjoy your next trip differently. Keep travelling – that’s an amazing way to grow as a person. Feel free to share your experiences with us; we would love to hear them.